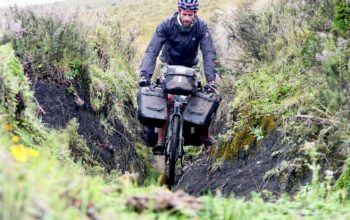 When it comes to mountain roads, most road bikes don’t have low enough climbing gears. 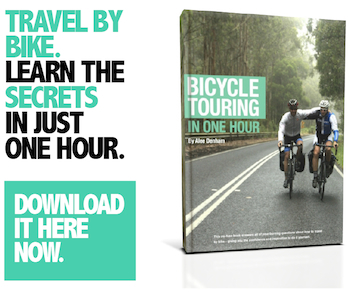 I see people struggling all the time, grinding away, trying to get over the top of their lowest gears so that their pedalling rate doesn’t drop to catastrophically low turning speeds. 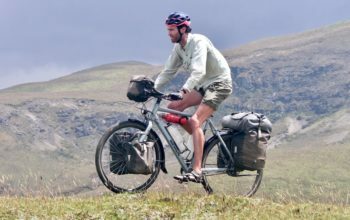 A few months ago I published a piece stating that hills are not harder than cycling on the flat. And it’s true. When you ride up a hill and you’re pushing 150 watts, that is the same 150 watts as when you’re cycling on the flat. The difference is that 150 watts on a climb simply translates into a slower speed due to the effects of gravity. 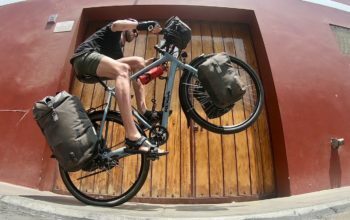 By using a mechanical advantage (low enough gears), you can pedal at the same revolutions per minute AND push the same amount of power into the pedals on most road gradients – check out my piece on how to calculate the steepest hill you can cycle up. 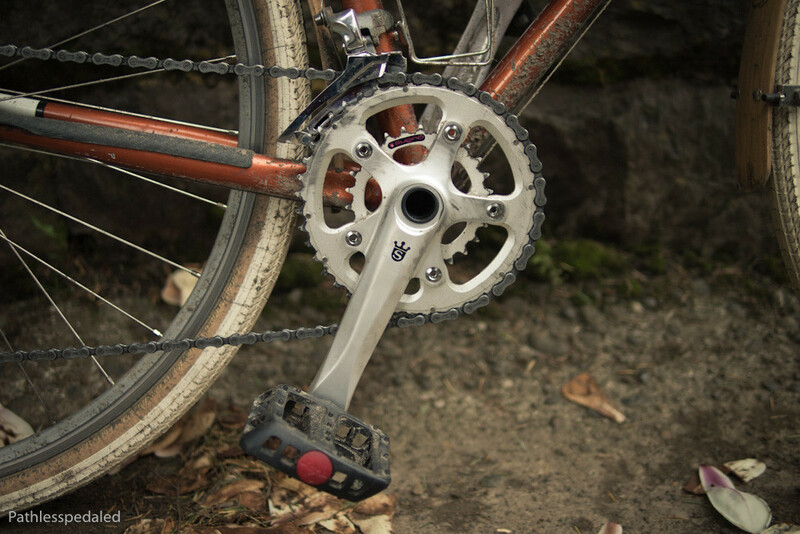 The crankset is a good place to achieve climbing gears. 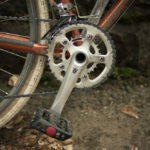 This is because it allows you to use cassettes with less of a jump between the cogs, and because you won’t need to hack and modify too many drivetrain parts. Basically, there’s no funny business here. Let’s take a closer look at the cranksets that offer better road bike climbing gears. Praxis Works has managed to fit sub-compact chainrings (32t instead of 34t) on their current cranksets, despite using the same chainring dimensions as a ‘compact’ crankset (110BCD). These cranks are available in the 30mm axle diameter (BSA, BB86, 386EVO, BB30/PF30) and go for between US $175 and $240. With my weight, power and preferred cadence, I can technically ride a 7.5% gradient all day long with these ratios (0.5% steeper than a compact crankset). 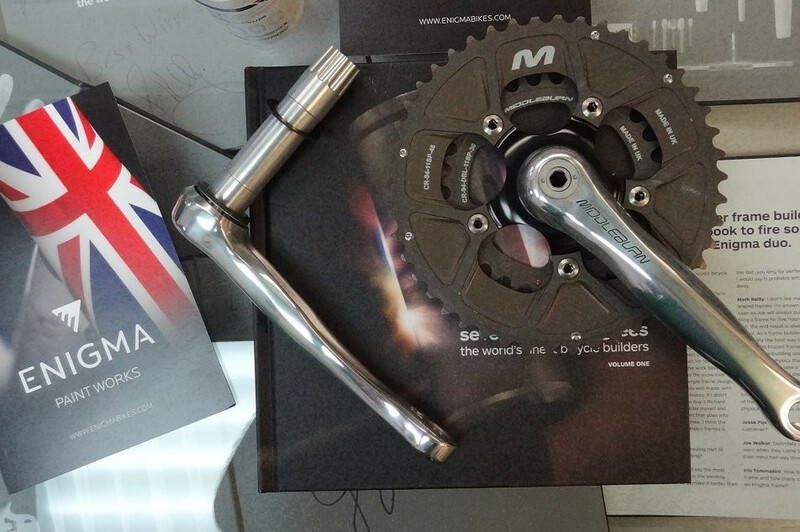 FSA last year released their adventure ‘sub-compact’ crankset range which is quite popular on stock bikes of all price points. 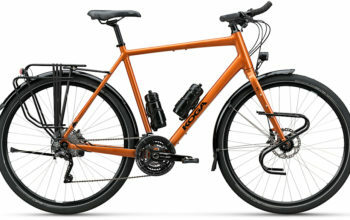 The US $90 FSA Tempo (9-speed, square taper) is the cheapest option, and the range tops out at US $350 for the 617g FSA SL-K carbon crankset (10/11-speed, BB386). 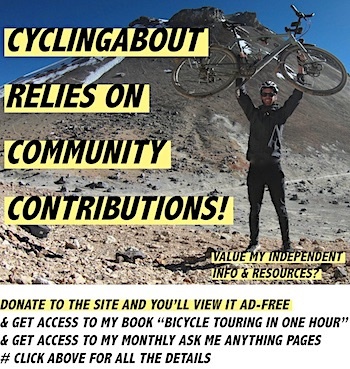 With my weight, power and preferred cadence, I can technically ride a 8.1% gradient all day long with these ratios (1.1% steeper than a compact crankset). 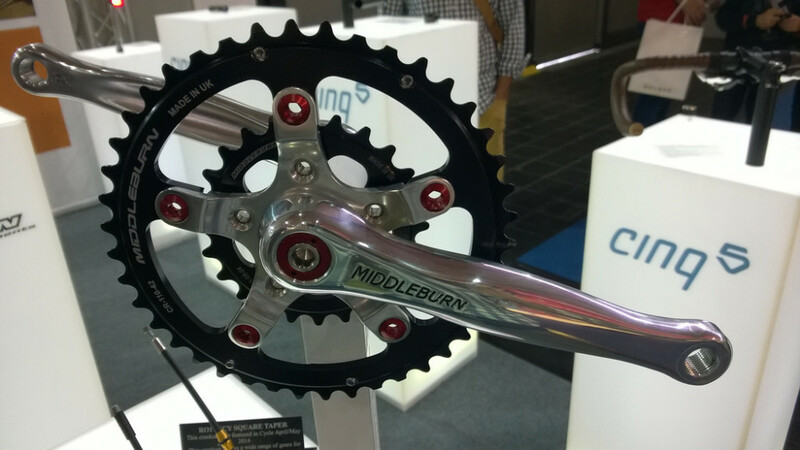 Middleburn makes a 94BCD road “super compact” spider for their RS8 crankset which allows you to run a 46t outer ring and 30t inner ring. This 24mm axle crankset will directly be able to replace any bike currently using a Shimano crankset. You can also use them with adapter cups for BB30 bearings, and they will fit threaded bottom brackets with external bearing cups. Thanks to the removable spiders on SRAM road cranksets, there is an aftermarket aluminium spider option from Engin Cycles that allows for sub-compact chainrings. 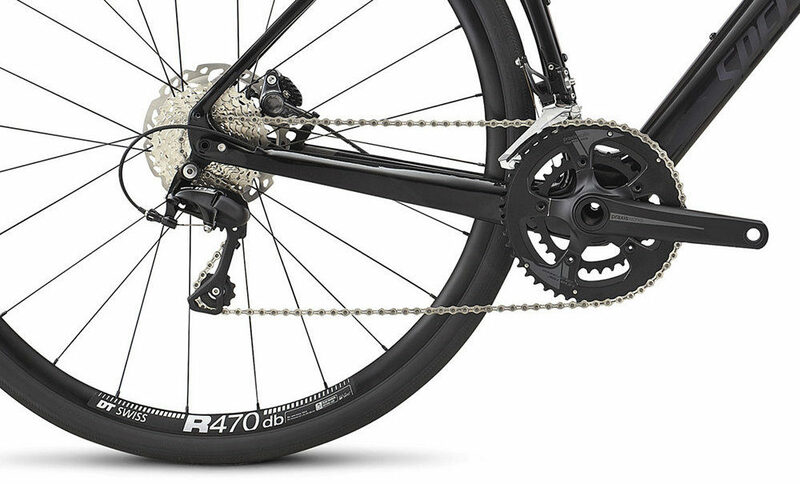 The 110/74bcd spider will allow you to fit Sugino 46-30t chainrings (10-11 speed), but if you have 8/9 speed you can fit even smaller inner chainrings (a 42-26t combo, for example). Sugino makes what they call “compact plus” cranksets with 110/74BCD chainring sizes. This setup provides a super small inner climbing gear and a nice low q-factor (145mm width between the pedals). This 24mm axle crankset will directly be able to replace any bike currently using a Shimano crankset (including BB90 press fit). You can also use them with adapter cups for BB30 bearings, and they will fit threaded bottom brackets with external bearing cups. 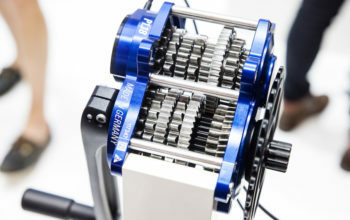 The 26 and 28t inner chainrings are technically designed for 8/9 speed but some riders have had success with these on 10/11 speed drivetrains. Note: a braze-on front derailleur mount may not get the derailleur low enough. Band clamps are ideal. 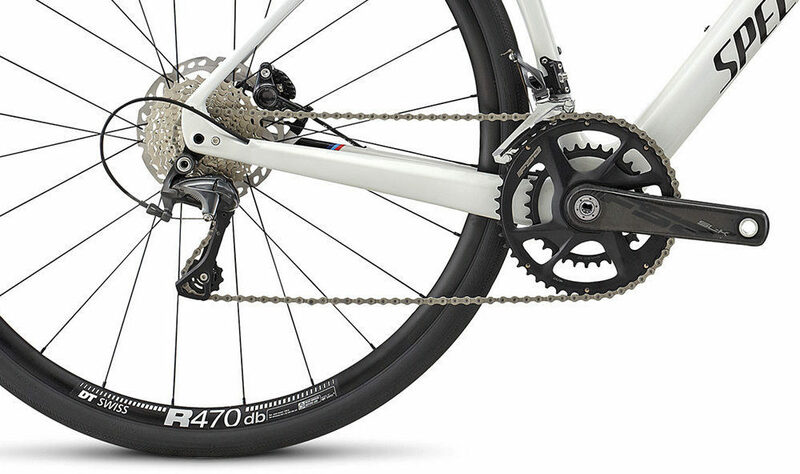 The White Industries VBC cranks have a narrow 150mm q-factor and can operate with a 24 tooth difference between chainrings; although I’d recommend a 16-20 tooth difference so that you don’t exceed the capacity of your road rear derailleur. Inner rings start at 24t and go up in even increments. There is both a BB30/PF30 model and a square taper model for those with threaded bottom brackets. With my weight, power and preferred cadence, I can technically ride a 10.3% gradient all day long with these ratios (3.3% steeper than a compact crankset). The award for the smallest chainring on a road crankset goes to Middleburn with their 94/58 BCD “Incy” chainring spider (removable). 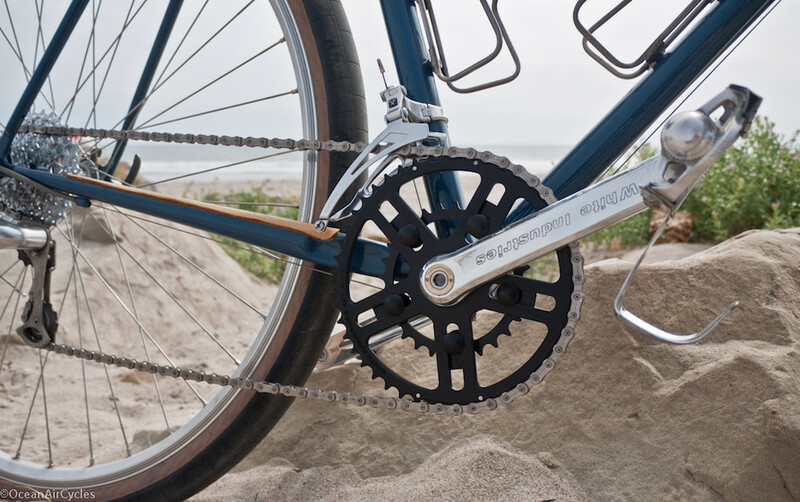 The “Incy” spider offers a small front chainring as low as 20 teeth! That gets your low gear right down to 17 gear inches. 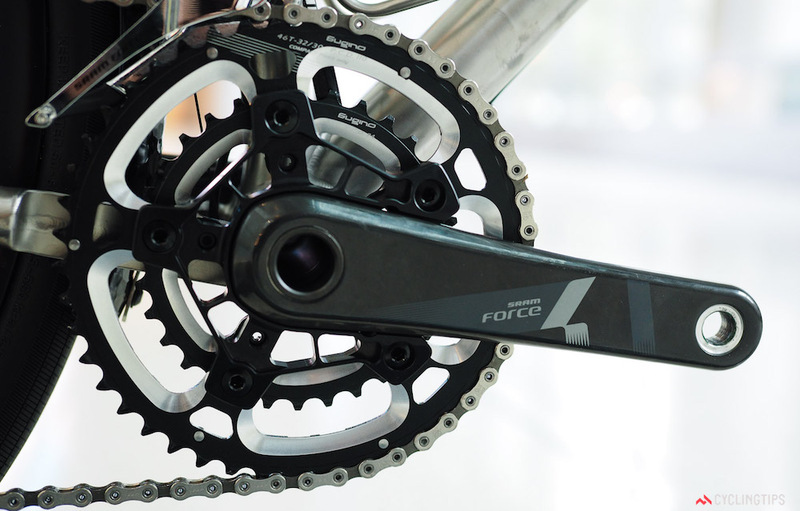 The RO1 cranks are for threaded BB bikes only – sorry press-fit crew. With my weight, power and preferred cadence, I can technically ride a 12.6% gradient all day long with these ratios (5.6% steeper than a compact crankset).